I've only read a few books this year, but I already know that I'm currently obsessed with YA Romances. I don't even know why I am, or what book did it, but I just haven't wanted to stray towards Fantasy reads at all lately. 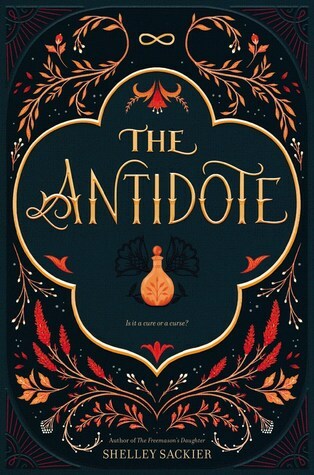 But when I got The Antidote, it just kept coming back up in my TBR and after the lovely Publishers sent me the gorgeous ARC, I just couldn't resist seeing if this would win over my heart's genre dilemma (didn't mean for that to rhyme). You know you're in for one heck of a story when there's magic, and that magic can't be used. So, in this case, it's totally forbidden in The Antidote. Instead of magic and all it entails, they use herbal remedies (I guess our version of behind the counter remedies and prescription things) and special ways they incorporate into their lives instead of using magic. Fee (or Ophelia, as she was born), our main character, is loyal to the system and keeps her own magic buried within since a contagion forced half the kingdom away and separated her from her betrothed love and left her, and the future king, Prince Xavi, who were infected, behind. Fee's best friend Xavi is on his death bed, struggling for life because of the way they were infected, and knowing this, Fee's own magic is playing games within her. Xavi is the prince and due to be the future king, so the stakes are a thousand times greater that he lives. Keeping him alive is all that Fee wants, and because of this, her magic ventures out during a momentary slip. Everything she knew about magic - and the secret world it has masked - is thunderous, throwing her life into a dangerous darkness. But to fully give in to everything magic holds would be worse than anything she could think of. She could save Xavi, but at the risk of her own life by those who forbid magic, deciding whether it's truly worth the sacrifice, Fee stands on uneven ground that's quaking under her footsteps. Overall, watching Fee - and this entire world, characters and plot - grow over the course of the chapters, I was enthralled by this twisted fairytale of bonds, true love, magic, a dash of sassiness and high stakes. It did take me a while to get used to Fee's character, because she is so determined in her ways and stubborn, but in the end, it kind of just made me love her even more. Whilst there were some slow moments, it was still a super amazing read. I still have my soft spot for YA Romances, but The Antidote is definitely up there with incredible YA 2019. Four stars! Have you read The Antidote? 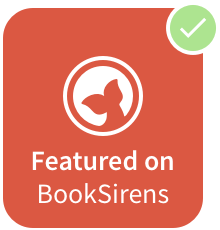 I definitely recommend you add to your Goodreads and browse it at your local Library!